If you use this app with your Kodi Android box, no matter if it's a Cubox TV or an NVIDIA SHIELD TV, you are on your way to discover lots of content at the tip of your fingertips. Personally, I own a tablet which can act as a TV Box, so I downloaded and installed Kodi and then proceeded to install Kodi Configurator on it. 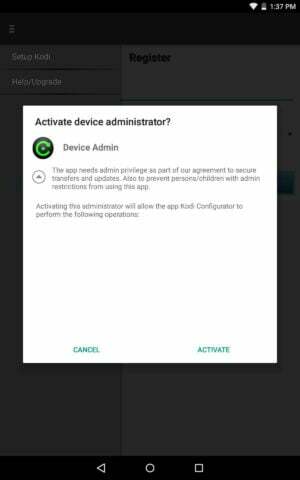 I then installed on my smartphone the two Android based remote controllers: Kore, the official remote control app for XBMC/Kodi, and Yatse, the XBMC/Kodi Remote, and I tell you, my experience couldn't be better. Kodi Configurator brought to my HTPC almost limitless movies and a bunch of TV channels, and the settings are so well configured that I don't experience lag or stutter at all, enjoying instead a good image quality in all content, from the comfort of my couch, aided with my smartphone which acts as a remote control. Anyways, without further ado, we will reveal now how to configure Kodi for Android by using Kodi configurator. How to install Kodi Configurator? As with any Android app, look for Kodi Configurator on Google Play in your Android device, and click the Install button. This will install Kodi Configurator, and you will have the option to start it or look for its icon on the Android menu. Once you locate the app and start it, you can use it to setup Kodi live TV and other cool features. Remember though, a pre-requirement for Kodi Configurator to work is, of course, having Kodi for Android installed on your device. This guide is made assuming Kodi is already installed on your system. You will be faced with a list of email addresses, which are the email addresses you use on your Android device. Select whichever one you want to use for Kodi Configurator by clicking on it, so you can let the application configure Kodi for Android in your device. If asked whether to upgrade to the full version to access premium servers, or using the free application, select Continue With Free, for now. You should now be at a screen similar to this one. Click start and wait for Kodi Configurator to setup your Kodi installation. 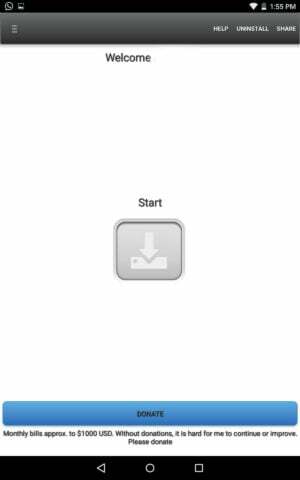 All you need to do is click the Start button, which is right in the middle of your device. The Kodi Configurator app will warn you about it permanently changing your Kodi settings, but since this is what we want (because, ideally, we're working with a fresh Kodi install to use Kodi Configurator) we click Continue. You will then see a progress bar, indicating the progress made by Kodi Configurator as you configure Kodi for Android automatically with it. Sit back and wait for it to complete its configuration, which might take about five or ten minutes. Once completed, Kodi Configurator will show you a screen saying your setup is complete, and to check whether Kodi looks like a fresh install, or it actually changed appearance. 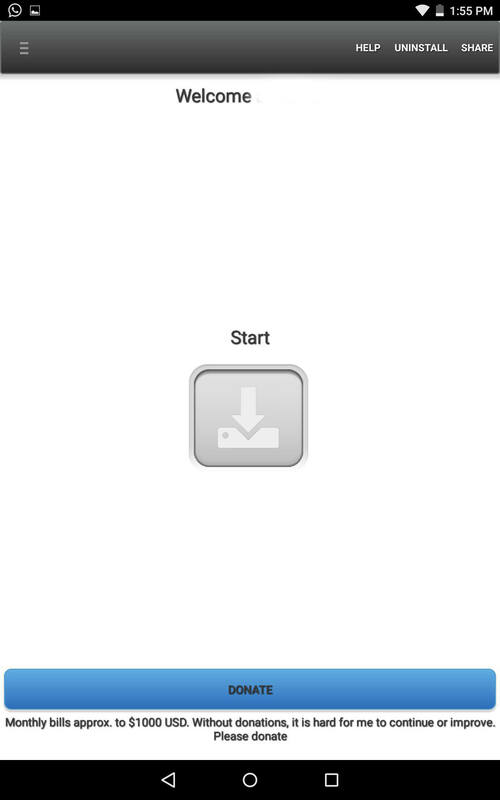 Click Next on this screen and it will show you another screen, recommending a reboot. I actually did not reboot when I installed, but it's up to you. Click on Got it! And that's it! Open Kodi now on your Android device and you will see that it now took the appearance of a virtual living room, as the screenshot below shows you. A virtual living room greets you after Kodi Configurator is done setting up Kodi for you. 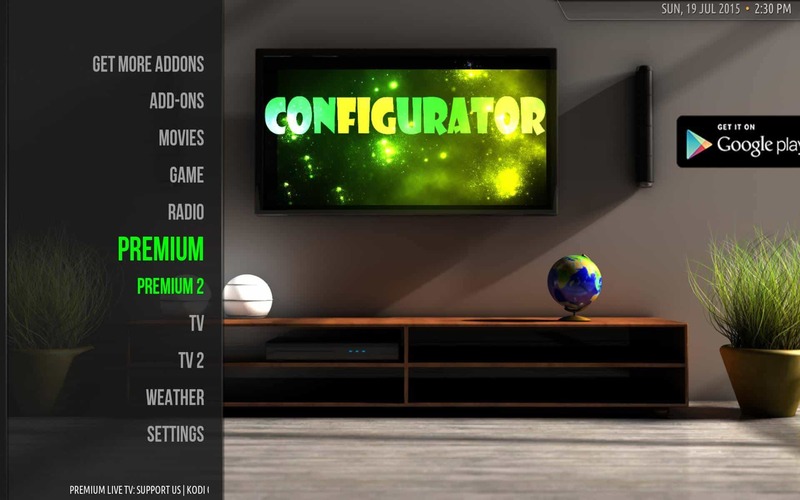 You have successfully completed the process to install Kodi Configurator now and have been able to setup Kodi live TV, as well as a ton of other content options. The best part about this app is that it is free to use and it is really easy to install. If you are looking for a complete Kodi TV setup with just a few clicks, this is a very good option. How to run a Ubuntu home server on VirtualBox VM?